Our speakers bring diverse perspectives from around the globe. From the fields of faith, policy and academia, and grassroots activism, speakers are uniting in an urgent call to protect our common home. 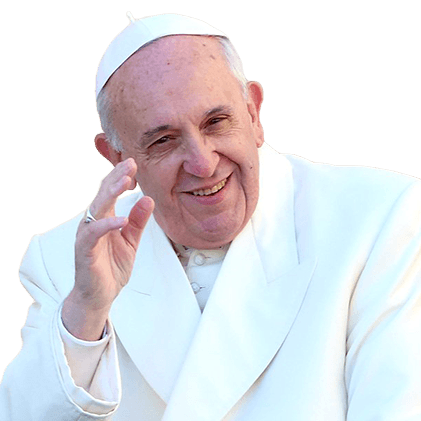 Jorge Mario Bergoglio, S.J., Archbishop of Buenos Aires, Argentina, Ordinary for Eastern-rite faithful in Argentina who lack an Ordinary of their own rite, was born on 17 December 1936 in Buenos Aires. He studied as and holds a degree as a chemical technician, but then chose the priesthood and entered the …seminary of Villa Devoto. On 11 March 1958 he moved to the novitiate of the Company of Jesus where he finished studies in the humanities in Chile. In 1963, on returning to Buenos Aires, he obtained a degree in philosophy at the St. Joseph major seminary of San Miguel. Between 1964 and 1965 he taught literature and psychology at the Immacolata College in Santa Fe and then in 1966 he taught the same subjects at the University of El Salvador, in Buenos Aires. He was proclaimed the 266th Pope of the Roman Catholic Church on 13 March 2013.
of the Holy See on 1 July 1986, subsequently serving in Nigeria and Mexico. In 1986 he also obtained a degree in canon law at the Pontifical Gregorian University. Since 2000 he has worked with the then Bishop Attilio Nicora on the matters pertaining to the implementation of the revision of the Lateran Concordat of 1984, with particular reference to the military ordinariate. On 30 November 2002 he was appointed Undersecretary of the Section of the Secretariat of State for Relations with States. Particularly expert in matters concerning the Middle East, and more generally in those regarding the geo-political situation of the Asian continent, he has worked specifically to build up and reinforce relations between the Holy See and Vietnam. He also contributed to reopening dialogue between Israelis and Palestinians, convinced of the need for a shared effort to “create the conditions for a true and just peace” in the Middle East. In December 2008 he led the delegation that took part in the work of the Permanent Bilateral Commission between the Holy See and the State of Israel. On several occasions he has acted as spokesman for the Apostolic See expressing its wish to work with international organizations to safeguard the basic rights of the person, including religious freedom. 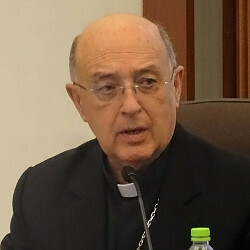 On 17 August 2009 he was appointed Apostolic Nuncio to Venezuela and was elevated to dignity of Archbishop with the titular Episcopal See of Acquapendente. 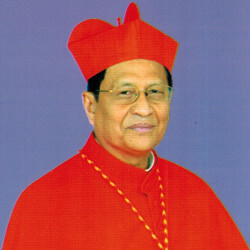 He received his episcopal ordination on 12 September 2009. On 31 August 2013 Pope Francis appointed him Secretary of State and he entered into office on 15 October. Member of the Council of cardinals established to advise Pope Francis in the government of the universal Church and to study a plan for revising the Apostolic Constitution on the Roman Curia,‘Pastor Bonus’. Created and proclaimed Cardinal by Pope Francis in the consistory of 22 February 2014, of the Title of Santi Simone e Giuda Taddeo a Torre Angela (Sts. Simon and Jude Thaddeus at Torre Angela). 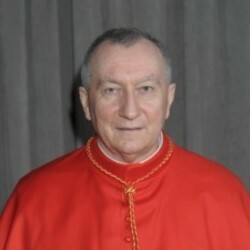 On June 26th, 2018, with Rescriptum ex Audentia Ss.mi, the Holy Father Francis decided to co-opt Cardinal Pietro Parolin in the Order of Bishops, equating him in all respects to the Cardinals who were given the Title of a suburbicarian Church. Cardinal Peter Kodwo Appiah Turkson is the Prefect of the Dicastery for Promoting Integral Human Development and Archbishop emeritus of Cape Coast, Ghana. Born in 1948 in Ghana, H.E. Peter K.A. Cardinal Turkson studied theology at St.… Anthony-on-Hudson Seminary in New York and was ordained as a priest in 1975. He completed his graduate studies at the Pontifical Biblical Institute in Rome from 1976-80 and 1987-92. In 1992, he was appointed Archbishop of Cape Coast by St. John Paul II and made Cardinal in 2003. He was President of the Ghana Catholic Bishops’ Conference from 1997-2005, and, since 2003, he has been Chancellor of the Catholic University College of Ghana. He served as Relator during the II Synod of Bishops for Africa in October 2009. 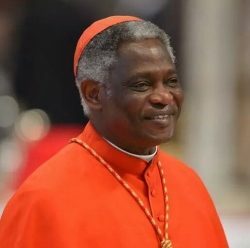 At the end of the Synod, Pope Benedict XVI named Cardinal Turkson as President of the Pontifical Council for Justice and Peace, reconfirmed by Pope Francis in 2013. Cardinal Turkson has been appointed by Pope Francis as the first Prefect of the new Dicastery for Promoting Integral Human Development. His fields of interest include human rights, ecology, integral development, economic and social justice, reconciliation, and sustainable agriculture. 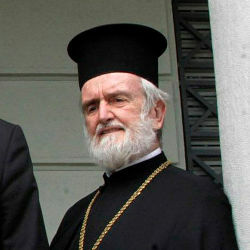 John Zizioulas is the metropolitan of Pergamon. He is the Chairman of the Academy of Athens. Metropolitan John received his doctorate in 1965 from the University of Athens. 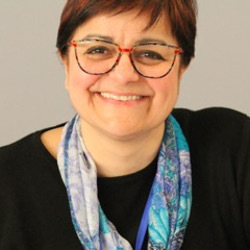 Zizioulas has held an assistant professorship at the University of Athens, professorship at… the University of Edinburgh, and personal chair at the University of Glasgow In addition, Zizioulas has been a Visiting Professor at the Research Institute in Systematic Theology of King’s College London. In 1986, he was elected titular metropolitan of Pergamon. In the same year, he assumed a full-time academic post at Thessaloniki School of Theology as Professor of Dogmatics. (CCFD-Terre Solidaire). Mgr. Duffé holds a doctorate degree in political philosophy and a Master’s degree in theology. Throughout the years Mgr. Duffé has combined pastoral and ecclesial responsibilities with teaching and training activities, research, and international missions. He is a lecturer in moral theology and social doctrine, and social ethics at the Catholic University of Lyon. Furthermore, he was a chaplain of the Regional Center for the Fight against Cancer (2004-2014) and co-chaired the Léon Bérard Ethics Committee. 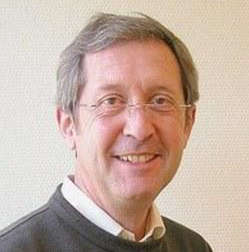 As the director of the Institute of Human Rights of the Catholic University of Lyon (1985-2004), he contributed actively to the creation of the UNESCO chair on minority rights. He served as vice parish priest at Our Lady of Mount Carmel Church, Gzira (Malta) from 1991 to 1992. In 1992 he was sent to read canon law at the Pontifical Lateran University. Having obtained a doctorate, in 1996 he returned to Malta and was appointed Defender of the Bond at the Archdiocesan Ecclesiastical Tribunal. In 1997 he was summoned to attend the Pontifical Ecclesiastical Academy and in January 1999 Camilleri joined the diplomatic service of the Holy See. He served in various Apostolic Nunciatures- Papua New Guinea and Solomon Islands (1999–2002), Uganda (2002–05) and Cuba (2005–06) -before being assigned to the Secretariat of State in the Vatican. On the 22 February 2013 he was appointed Under-Secretary for Relations with States. Cardinal Barreto was born in Lima, Peru, on February 12, 1944 and entered the Jesuit novitiate there. He studied philosophy at the Jesuit faculty in Alcalá de Henares, Spain, and theology in Lima. He was ordained a priest of the Society of Jesus on December 18, 1971 and took his final vows as a Jesuit on October 3, 1976.… On November 21, 2001, Pope John Paul II named him titular bishop of Acufida and Apostolic Adminstrator of Jaén in Peru. On July 17, 2004, John Paul appointed him Archbishop of Huancayo and he was installed there on 5 September. He has headed the Justice and Peace Section of the Latin American Bishops’ Conference. He is vice president of the Panamazon church network and a member of the organizing committee for the Pan-Amazon Synod of Bishops. On September 29, 2012, Pope Benedict XVI named him a member of the Pontifical Council for Justice and Peace.Pope Francis made Barreto Cardinal-Priest in the consistory of June 28, 2018, assigning him the titular church of Santi Pietro e Paolo a Via Ostiense. 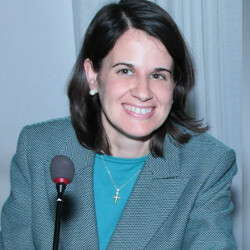 On May 2, 2017, Marta Rodriguez, a consecrated woman in Regnum Christi and director of the Institute for Higher Women’s Studies (Istituto di Studi Superiori sulla Donna) of the Regina Apostolorum Pontifical Athenaeum in Rome began her service as the director of the office of women’s issues in the Vatican Dicastery for Laity, Family and Life. Pope Francis created this dicastery in 2016 and the prefect is Cardinal Kevin Farrell. 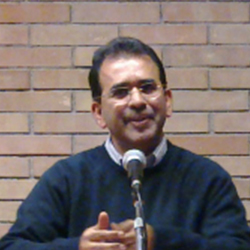 Joshtrom Isaac Kureethadam is Coordinator of the Sector on Ecology and Creation, Dicastery for Promoting Integral Human Development and professor philosophy at the Salesian Pontifical University in Rome. He obtained a doctorate in philosophy in 2007 at the Pontifical Gregorian University in Rome on the theme of …the philosophical roots of the contemporary ecological crisis in René Descartes and Modernity. He was a Research Scholar to Campion Hall, University of Oxford, U.K. where he is currently an Academic Visitor. He has published in the areas of philosophy of science, history of modern philosophy, environmental sciences, environmental philosophy, and theology of creation. Mauricio López Oropeza is the Executive Secretary of REPAM, the Red Eclesial PanAmazónica (Pan-Amazonian Bishops’ Network) and the president of the board of CVX Mundial. Rev. Henrik Grape is ordained in Church of Sweden (Lutheran). 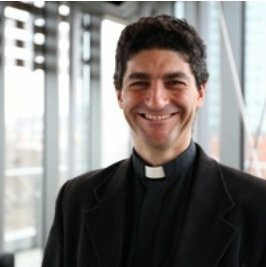 He has worked at the national office of Church of Sweden since year 2000 as Officer in Sustainable Development. Member of ECEN (European Christian Environmental Network) steering committee since 2005 and World Council of Churches …(WCC) working group on climate change since 2006. Today he is seconded to WCC as Senior Advisor on Care for Creation, Sustainability, and Climate Justice and the coordinator of the working group on climate change. 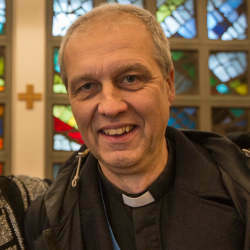 He has been in the planning group of the Uppsala Interfaith Climate Summit (2008) and in the working group that drafted the Church of Sweden Bishops conference bishops letter on Climate Change 2014. Ha has been a delegate in the WCC delegation to UNFCCC COPs since 2006 and the head of the delegation since 2016. 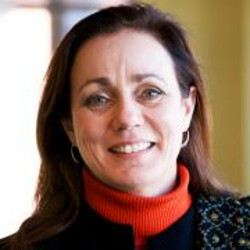 Patrizia Morgante is an educator, counselor, and facilitator of religious organizations. For the last 15 years, she has worked with religious communities at the international level on their justice and peace initiatives. Monica Conmee is Head of Education for CAFOD, Caritas England and Wales, where she manages a team of educational professionals; training, resourcing and supporting children and young people to work for global justice.… Monica taught for many years in inner-city London schools where she experienced first-hand the challenges of inequality in areas of social deprivation. This was echoed during various periods working in Latin America and Africa where she witnessed the stark reality of injustice faced by some of the most marginalised communities who, whilst lacking resources, were inspirational for their creativity and commitment to drive change. Following reflection on the message of Laudato Si’, she supervised the creation and implementation of a training and resources programme with children and young people throughout England and Wales. These issues are now included as part of the curriculum for more than 4000 Catholics schools in England and Wales. With an avid interest in the dialogue promoted by Laudato Si’, Monica has been greatly enriched by the exchange of ideas shared with communities in Kenya; in particular, the dialogue with Maasai herders, conscious that their very culture is threatened with extinction by climate change. Monica holds a degree in Theology and Religious Education from St Mary’s University and lives in North Yorkshire. Erik Solheim is the Executive Director of the United Nations Environment Programme (UN Environment). Prior to joining UN Environment in August 2016, Solheim was the chair of the Development Assistance Committee of the Organization for Economic Co-operation and Development (OECD).… From 2007 to 2012, Solheim held the combined portfolio of Norway’s Minister of the Environment and International Development, and from 2005 to 2007 served as Minister of International Development. During his time as Minister, Norwegian aid reached 1%, the highest in the world. Solheim is also an experienced peace negotiator, having acted as the main facilitator of the peace process in Sri Lanka from 1998 to 2005. He continued to lead peace efforts in Sri Lanka as Minister, and has contributed to peace processes in Sudan, Nepal, Myanmar and Burundi. 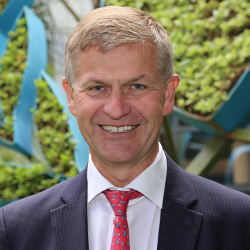 In addition to his career as a Minister and at the OECD, Solheim has served as UN Environment’s Special Envoy for Environment, Conflict and Disaster since 2013 and a Patron of Nature for the International Union for the Conservation of Nature (IUCN) since 2012. Solheim holds a degree in history and social studies from the University of Oslo. Ms. Espinosa took office as Executive Secretary of the United Nations Framework Convention on Climate Change on 18 July 2016. Ambassador of Mexico to Germany since 2012 and from 2001 to 2002, Ms. Espinosa was Minister of Foreign Affairs of Mexico from 2006 to 2012, bringing more than 30 years …of experience at highest levels in international relations, specialized in climate change, global governance, sustainable development, gender equality and protection of human rights. 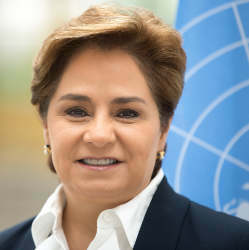 As Mexico’s representative on multilateral bodies and international organizations in Vienna, Geneva and New York, Ms. Espinosa has been engaged as leader in the global challenge to address climate change and its consequences, notably as Chair of the 16th Conference of the Parties to the UNFCCC leading to the adoption of the Cancun Agreements. Named by the UN Secretary-General to the High-Level Panel of Eminent Persons on the Post 2015 Development Agenda, she is a tireless supporter of multilateralism as a way to improve conditions for development in all regions of the world, understanding the inextricable link between the aims of the Paris Climate Agreement and the Sustainable Development Goals. 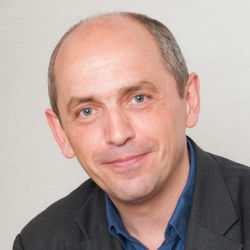 Michał Kurtyka is Secretary of State, Government Plenipotentiary for COP24 Presidency, a trained physicist and engineer, economist, specialist in international negotiations, expert in the field of energy and the author of the government programme for the development of electromobility in Poland. …He is a graduate of the prestigious Parisian École Polytechnique and a scholarship holder in the field of quantum optics of the National Institute of Standards and Technologies near Washington (DC), where he worked under the leadership of the Nobel laureate in physics, William D. Phillips. During his studies, he also specialized in economics, with special regard to market organization under the leadership of Professor Jean Tirole, the Nobel laureate in economics in 2014. In the field of international economics, he studied at the University of Louvain La Neuve and obtained a master’s degree at the Warsaw School of Economics. He defended his doctoral thesis at the University of Warsaw. He was a lecturer in the field of change management, economics, market organization and industrial strategy at the University of Warsaw, Collegium Civitas, Oxford Programme On Modern Poland. He started his professional career at the Office of the Committee for European Integration, in the team of Minister Jan Kułakowski, responsible for conducting accession negotiations with the European Union, where he led an analytical team and was directly responsible for the energy and transport area.Then he modernised many Polish companies, in which he supported the adaptation to the challenges of the European and global market. He was a promoter of European cooperation in the field of industrial change and adaptation of industry in Europe to the challenges of globalization, among others as part of the European University of Labour and the Dublin Foundation.The author of the government programme for the development of electromobility in Poland, described for the first time as a concept in the book written in 2013-2015, together with Prof. Leszek Jesień, “New Electricity and New Cars”. He is the Chairman of the Steering Committee of the Electromobility Programme. As the deputy minister of energy, he was the originator of the “Electromobility Development Plan” and then he piloted the creation of the act on electromobility and alternative fuels, thanks to which the forms of transport will have the possibility of developing dynamically.As the Secretary of State in the Ministry of Energy, he was directly responsible for the technological development and introduction of innovations to the energy sector, implementation of climate and energy policy in the fuel and gas sector, conducting international relations with states and international organizations. He negotiated the provisions of the Winter Package, as well as legal acts regulating the electricity market in Europe. He represents Poland in the International Energy Agency. 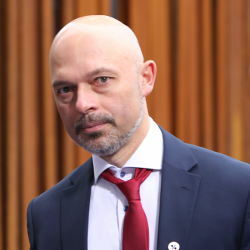 In April 2018, Minister Kurtyka is the Government Plenipotentiary for COP24 Presidency. Ola Evestuen was appointed as Minister of Climate and Environment on January 17, 2018. Mr. Elvestuen is a Member of Parliament and represents Oslo. He was first elected to Parliament in 2013. He has been deputy leader of the Liberal Party since 2008. … Elvestuen holds a Bachelor’s degree from the University of Oslo, having studied Social Anthropology, Political Science and History. He started a major in History. He has undertaken the leadership training at the Norwegian Defence College. Ola Elvestuen worked as a city councillor for Environment and Transportation in Oslo during 2011-2013. He was first elected to the Oslo City Council in 2003. Elvestuen headed the City Development Committee from 2003 to 2011. 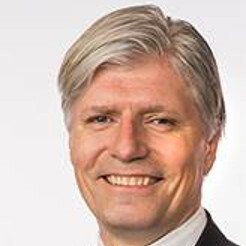 He was leader of the Oslo branch of the Liberal Party from 2000-2007.At Parliament, Elvestuen has chaired the Committee on Energy and Environment since 2013. Elvestuen has been a member of the Norwegian parliamentary delegation to the Parliamentary Assembly in the Organization for Security and Cooperation in Europe (OSCE) since 2013. He has been deputy member of the parliamentary delegation for Arctic parliamentary cooperation since autumn 2017. 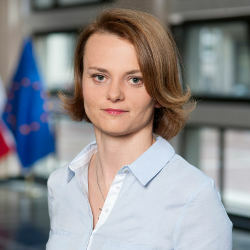 Dr. Jadwiga Emilewicz was appointed as Undersecretary of State in the Ministry of Development in November 2015. In 1999–2002, she worked in the Department of Foreign Affairs at the Chancellery of the Prime Minister. In 2009, she became the Director of the Museum of Polish People’s Republic (PRL) in Kraków. Is a councillor in the regional assembly of … Małopolskie Voivodeship and Vice-Chair of the Commission for the Innovation and Modern Technologies. 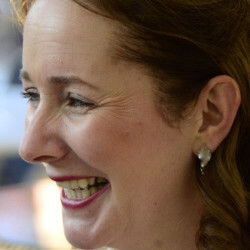 Jadwiga Emilewicz is a graduate of the Institute of Political Studies at the Jagiellonian University. She has begun doctoral studies at the Jagiellonian University’s Department of International and Political Studies. She is a holder of Oxford University scholarship, as well as scholarship granted under the American Council on Germany programme by Dräger Foundation, ZEIT-Stiftung Ebelin und Gerd Bucerius. 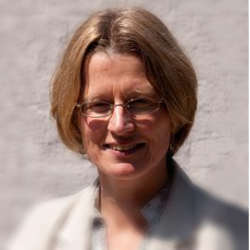 She has been associated with Tischner European University in Kraków since 2003. She is a social worker and the author of numerous scientific publications. The former President of the Better Poland Foundation. She speaks English, German and French. She has three sons. The Rt Hon. John Gummer, Lord Deben served for sixteen years as a British minister in the governments of Margaret Thatcher and John Major, as Employment Minister, Paymaster General in HM Treasury, Minister for London and Minister for Agriculture, Fisheries and Food, …before moving in 1992 to the Department of the Environment. He is now Chairman of the UK’s Committee on Climate Change and a member of the House of Lords. 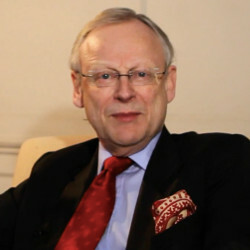 Lord Deben also chairs the sustainability consultancy Sancroft International, recycler Valpak, GLOBE International, the Association of Professional Financial Advisers and Veolia Water UK.He is a non-executive director of Veolia Voda, The Catholic Herald and the Castle Trust, a mortgage and investment firm. He is also a trustee of the ocean conservation charity Blue Marine Foundation. 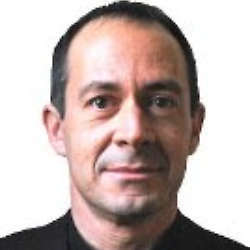 Pierre Larrouturou is born in 1964 in Périgueux (France). 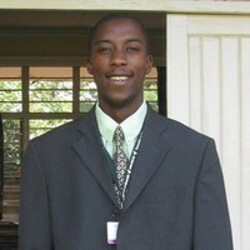 He is an agronomist and a graduate from the Paris School of Political Science (Science-Po). He is married and father of two children. He worked for 11 years at Arthur Andersen, which became Accenture.… In 1995, he initiated the adoption by the French Parliament of a law that enabled hundreds of companies to negotiate new forms of work-time organization, which made possible the creation of a large number of jobs. In 2012, along with Michel ROCARD, Stéphane HESSEL, Edgar MORIN and Curtis ROOSEVELT (grandson of FDR), he created the Roosevelt Collective and made 15 policy proposals for a European New Deal. In December 2017, together with the climatologist Jean Jouzel (former Vice-President of the IPCC when it received the Nobel Prize) he published “To avoid the climate and financial chaos” (prefaced by Environment Minister Nicolas Hulot). The publication of the book gave birth to a European-wide movement that seeks to obtain a new European Treaty that would fund the fight against climate change in Europe, in Africa and in the Mediterranean. 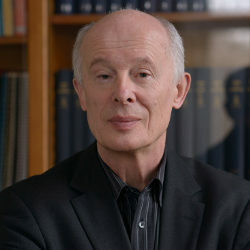 Hans Joachim Schellnhuber founded the Potsdam Institute for Climate Impact Research (PIK) in 1992 and has been its Director ever since. He is a Professor for Theoretical Physics at Potsdam University and Senior Advisor at the Institute for Advanced Sustainability Studies (IASS) in Potsdam. From 2001-2005 … he also served as Research Director of the Tyndall Centre in the UK and became a Visiting Professor at Oxford University thereafter. Schellnhuber is currently member of the German Advisory Council on Global Change (WBGU), Chief Scientific Advisor of the Climate-KIC and Chair of the High-Level Panel of the European Decarbonisation Pathways Initiative of the European Commission. He is elected member of the Pontifical Academy of Sciences, the German Academy of Sciences (Leopoldina), the Academia Europaea, the US National Academy of Sciences, and several other academies. He received, inter alia, the Royal Society Wolfson Research Merit Award (2002), the German Environment Prize (2007) and the Volvo Environment Prize (2011). Schellnhuber was awarded a CBE (Commander of the Most Excellent Order of the British Empire) by Queen Elizabeth II (2004), the Order of Merit of the State of Brandenburg (2008) and the Order of Merit of the Federal Republic of Germany (2011). He holds honorary doctorates from the University of Copenhagen (2011) and Technische Universität Berlin (2012). In 2017, he received the Blue Planet Prize from the Japanese Asahi Glass Foundation, which is considered the most important award for environmental sciences worldwide. Schellnhuber was Chief Government Advisor on climate and related issues during the German G8/EU twin presidency in 2007 and has served as a principal advisor to the European Commission President Barroso. 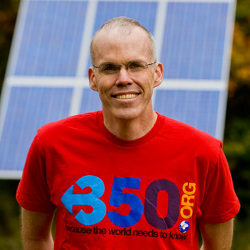 He is a member of numerous national and international panels addressing scientific strategies and sustainability issues. Schellnhuber has authored, co-authored or edited almost 350 articles and more than 60 books in the fields of condensed matter physics, complex systems dynamics, climate change research, Earth System analysis, and sustainability science. Celia Deane-Drummond is Professor in Theology and Director of the Center for Theology, Science and Human Flourishing at the University of Notre Dame, USA. She holds doctorates in plant physiology and systematic theology. Her research focuses on the engagement of systematic and moral theology …and the biological sciences, including specifically ecology, evolution, genetics, animal behaviour, psychology and evolutionary anthropology. She is chair of the European Forum for the Study of Religion and Environment (2011) and honorary visiting Professor in Theology and Science at the University of Durham, UK. See: Wonder and Wisdom: Conversations in Science, Spirituality and Theology (2006); Ecotheology (2008), Christ and Evolution (2009), A Primer in Ecotheology: Theology for a Fragile Earth (2017). A former staff writer for the New Yorker, he writes frequently for a wide variety of publications around the world, including the New York Review of Books, National Geographic, and Rolling Stone. He lives in the mountains above Lake Champlain with his wife, the writer Sue Halpern, where he spends as much time as possible outdoors. In 2014, biologists honored him by naming a new species of woodland gnat—Megophthalmidia mckibbeni–in his honor. 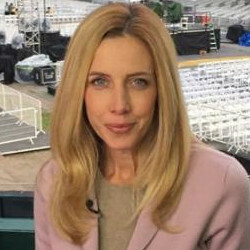 Delia Gallagher is CNN’s Vatican Correspondent in Rome. She is from San Francisco and received a degree in Philosophy and Theology from the University of Oxford. Previously she worked for ‘Inside the Vatican’ magazine and Zenit News Agency. Naderev Saño is the Executive Director of Greenpeace Southeast Asia. He has been working since 1997 on campaigns and programs to combat climate change. He has extensive experience in high-profile positions, both in public office and non-governmental organizations.… He is widely known for his work as Philippines’ Chief Negotiator in the United Nations Framework Convention on Climate Change (UNFCCC). His impassioned speech in Warsaw in 2013 on the effects of climate change following Typhoon Haiyan touched hearts and minds around the world. 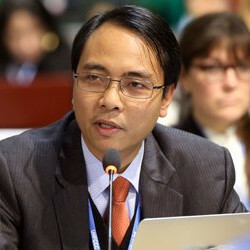 Before his stint as Climate Change Commissioner, he served as Director of the Climate Change Program at WWF-Philippines. For more than 14 years, he led local and international strategies to combat climate change, increase biodiversity, protect coastal and marine resources, and improve local governance. He also served as the National Director of the Earth Hour campaign in the Philippines from 2008-2010. As Spiritual Ambassador for OurVoices, he leads call to people of faith and moral belief across the world to engage on the issue of climate change. He was the Pilgrim Leader of The People’s Pilgrimage, a special journey that highlights communities confronting climate impacts. It culminated in a 1,500 kilometre walk from Rome to Paris from September to December 2015. Other notable positions include Global Ambassador of the Seize Your Power Campaign, and Ambassador for the Save the Arctic Movement. He also served as a Trustee for the Turtle Conservation Society of the Philippines and an Executive Trustee of the Inclusive Mobility Network of the Philippines. He is also an active individual member of the Philippine Movement for Climate Justice and the Global Catholic Climate Movement. Yeb holds a bachelor’s degree in philosophy, a technical degree in computer electronics, a graduate diploma degree in community development, and was a Fellow at the Oxford Climate Policy Centre based in Oxford University under the European Capacity Building Initiative. Macson Almeida is Alliance Coordinator at Don Bosco Green Alliance, an international collective of young people from Don Bosco Institutions and Organizations that contributes to global environmental action, thought and policy. Previously he worked in various non-profit organizations. 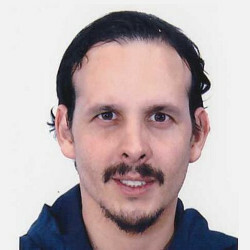 … Macson Almeida holds a Master’s Degree in Public Policy Analysis and a Bachelor’s Degree in Biochemistry and Zoology from St. Xavier’s College, Mumbai. He has a long term interest and passion in influencing and making policy changes to further the goal of sustainable development, education, climate change economics and environmental conservation. 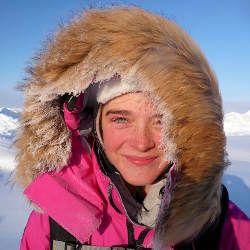 Jade Hameister began her quest to complete the Polar Hat-Trick in April 2016 at the age of 14, when she became the youngest person in history to ski to the North Pole from anywhere outside the last degree.… That year she was recognised by the Australian Geographic Society as Young Adventurer of the Year and her journey was captured in a National Geographic Channel documentary that aired in 170 countries in late 2016. In June 2017, aged 15, she became the youngest woman to complete the 550 km crossing of Greenland, the second largest ice cap on the planet unsupported and unassisted. In January 2018, aged 16, Jade skied 600km from the coast of Antarctica to the South Pole unsupported and unassisted, after an epic 37-day journey via a new route through the Transantarctic Mountains and up the Kansas Glacier, from the Amundsen Coast. Jade is currently 17, lives in Melbourne and is a Year 11 student. Kathy Jetñil-Kijiner is a poet of Marshallese ancestry. She received international acclaim through her performance at the opening of the United Nations Climate Summit in New York in 2014. Her writing and performances have been featured by CNN, Democracy Now, Huffington Post…, and more. In February 2017, the University of Arizona Press published her first collection of poetry, Iep Jāltok: Poems from a Marshallese Daughter. Her work has recently evolved and begun to inhabit gallery and performance art spaces – her work has been curated by the Honolulu Biennial in Hawai’i in February 2017, then the Smithsonian art lab ‘Ae Kai in July of 2017, and most recently the upcoming Asia Pacific Triennial in Australia in November 2018. 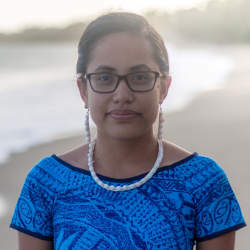 Kathy also co-founded the non-profit Jo-Jikum, dedicated to empowering Marshallese youth to seek solutions to climate change and other environmental impacts threatening their home island. She has been selected as one of 13 Climate Warriors by Vogue in 2015 and the Impact Hero of the Year by Earth Company in 2016. She received her Master’s in Pacific Island Studies from the University of Hawaiʻi at Mānoa. 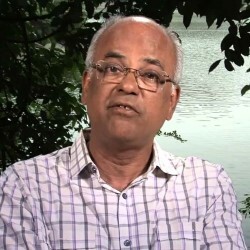 Dr. Father Robert Athickal SJ, Director, Tarumitra is originally from the state of Kerala, India, who has been coordinating the building up of a common dream of students, Tarumitra Bio-reserve in Patna. A Jesuit, a professor of Theology, he also received an Honorary Doctorate from Holy Cross…, USA for his Ecological Ministry. He has been advocating sessions and action plans on eco-spirituality since the past 40 years. He has been a teacher to hundreds of students, interns, educationists, and people from all walks of life through his journals, statements, publications, workshops, his regular attendance at the United Nations Programs along with his Ignatian Eco-retreats. Siddharth is a 14-year-old, 9 th grade student of St. Michael’s, a Jesuit School from Patna, India. He has formed an eco-club in his school by the name of Taru Shiksha 2 years back. Taru means Trees and Shiksha means Knowledge. 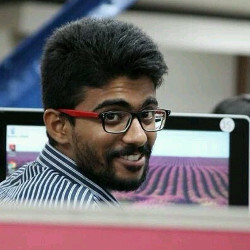 As the student leader, he has been organising earth friendly programmes on combating pollution issues especially plastic through open dialogues with student bodies, plantation drives, eco-exhibitions about caring and planting trees and adopting them as family members, taking out rallies and forming human chains for making cities pollution free as much as possible and taking care of our Mother earth through building a green brigade. Devopriya Dutta, a student volunteer of Tarumitra, is an alumni of Notre Dame, has done her Masters in Sociology from Patna University. She has been coordinating the school and college students by conducting earth friendly campaigns on a regular basis all across the country as Tarumitra is networking in 23 states. Working as the Co-ordinator of the Media Desk of Tarumitra, she gets connected to thousands of persons across the globe through her posts and publications. Being a keen observer of Bio-diversity, Devopriya is consulted for reforms in Biodiversity by the local government bodies. Allen Ottaro lives in Nairobi, Kenya, where he is a parishioner at St. Paul’s Catholic University Chapel in the Archdiocese of Nairobi. He is a founding executive director of the Catholic Youth Network for Environmental Sustainability in Africa, and he is the former national coordinator of MAGIS Kenya.